" I like this web site... it offers a variety of entertainment for the Christian"
With the Participant's Guides couples engage in a 6-session study with an easy format that integrates key Scriptures, group discussion and individual and couple's devotions. 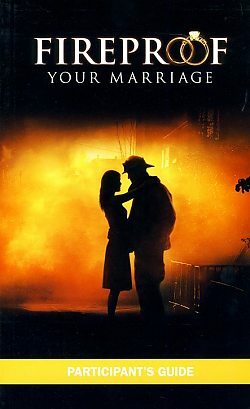 The Participant's Guide coordinates with the Fireproof Your Marriage Small Group Leader's Kit, the Couples' Kit and/or the Fireproof Your Marriage sermons (found on the DVD in both Kits). Can be used with or without the movie. Fireproof Your Marriage will challenge couples in how to show, and ultimately achieve real love. Curriculum is founded on Biblical principles for strong, God-centered, lifelong marriages and goes along with the Fireproof marriage sermons and tools. Will you dare to love unconditionally?